Over four years ago, I was asked to start writing for the Disney Parks Blog. It all started with a photograph of my favorite Walt Disney World Resort theme park, Epcot, still under construction. 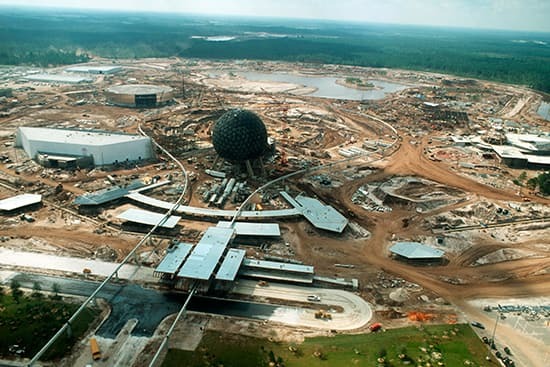 In honor of that first post, here’s a look back at Epcot under construction from October 1981. I know you’ll welcome her with open arms as she starts to share photographs from the Marketing Resource Center. 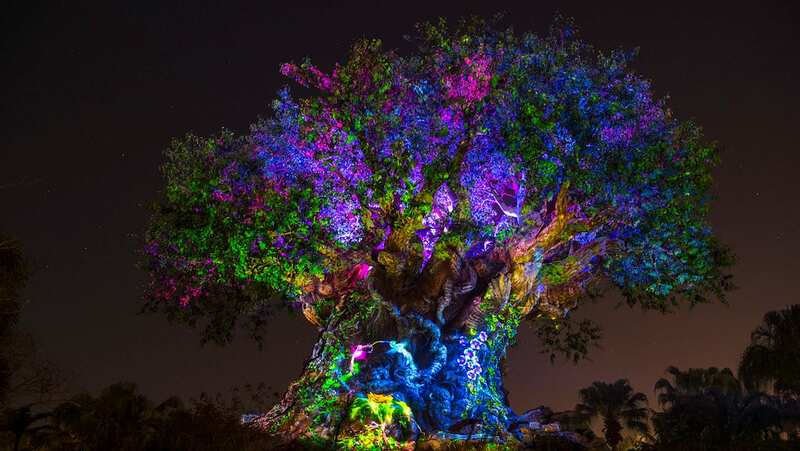 I can’t thank the Disney Parks Blog team and our readers enough for all the fun. It’s been a pleasure. Wishing you all the best. Thank you for all your posts. I have thoroughly enjoyed them. Thanks for all the historical posts, one of the best features for this blog . I wish you both luck and hope, one for their new direction and the other for their journey here. Nate, thank you for your wonderful contributions to the blog through the years. We will miss you! 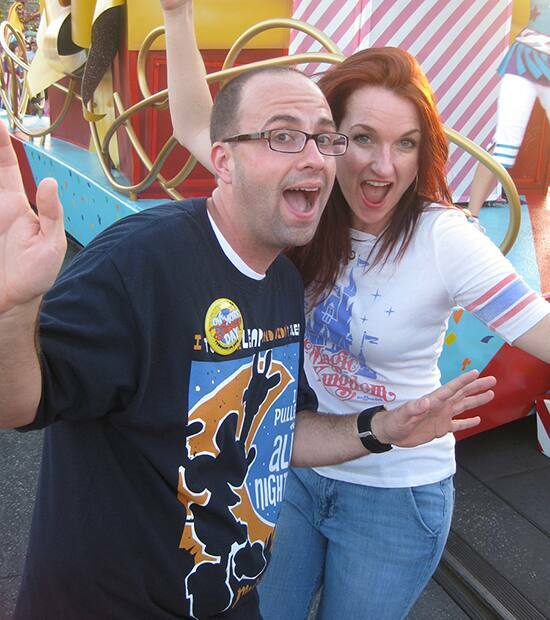 Nate, it’s been an honor and a privilege to write for The Disney Parks Blog alongside you! More importantly, it’s been so fun to see your contributions and how much they resonate with true Disney fans. Love and luck to you as you embark on your newest adventure!!! Nate, you’ll be thought of every time I observe somebody sampling the (Italian) Beverly at Club Cool! You’ll be missed. Best of luck! Thanks Nate! Hope you enjoy your new adventure! Thanks for years of great posts and best wishes for the future. Hope you’ll still be wearing ears! Epcot is my favorite too….the kids hate it and don’t want to go there. Enough said! Thanks for keeping the history alive as my now 18 year old son loves the history. Good luck to you Nate and welcome Rose – keep the history coming. Thanks Nate, we will miss you! Welcome Rose! I love Rose’s shirt in the photo! Wherever did she find it? Nate, thank you for your dedication to keeping us informed and connected to WDW even though we may be hundreds of miles away. Best of luck to you in your future endeavors! I was here for the 1st post. I’m here for the last post. Best of luck in all you do in your future. Congratulations on your years of blogging! We’ll miss you dearly, but I can’t thank you enough for your contributions to the Disney Parks Blog. Thanks for sharing your enthusiasm and passion and, as the mouse would say, we’ll see ya real soon! We will miss your posts Nate- I always looked forward to seeing bits of Disney history. Rose, you have big shoes to fill, but we all know you will be awesome! Best of luck with everything Nate!!! Thanks for all your posts, Nate, and best of luck to you! To everyone who had nice things to say to me today, thank you. It’s been so much fun. You’re in great hands with Rose!